"The first prototype was made while studying at the Danish Design school, drawing layout and sculpting foam for months to get the a working shape. It was carved from a 22kg piece of aluminum(my cheapest option at the time) down to about 2,3kg. A terrible waste, but the idea was that the production model should be moulded and a bit more exiting than the usual routed flat alu guitars seen. It has a warmoth wenge/ebony neck, two slide-able Lace humbuckers, and two series/parallel switches at the back." "The second is a one piece walnut body, CNC routed from a 3D model made in Studiotools and Solidworks. It has a walnut/ebony neck, Kahler trem, Kent Armstron and Seymour Duncan pickups, and one series/parallel switch at the back. It's a slightly larger and rounder body than the alu-version. "My goal was to make a unique signature shape. I wanted it to be sculptural, to relate to the body of the player and, like classical instruments, have a female waist line. "As you can imagine, the guitars are quite different sonically! I'll keep you updated. The new ones should be done quite soon." Thanks Mathias! 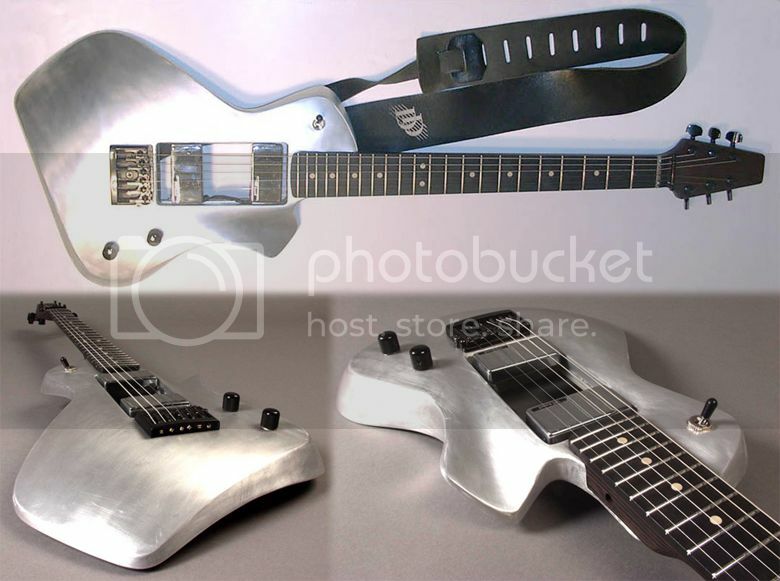 I love these designs, particularly the aluminium-bodied guitar. 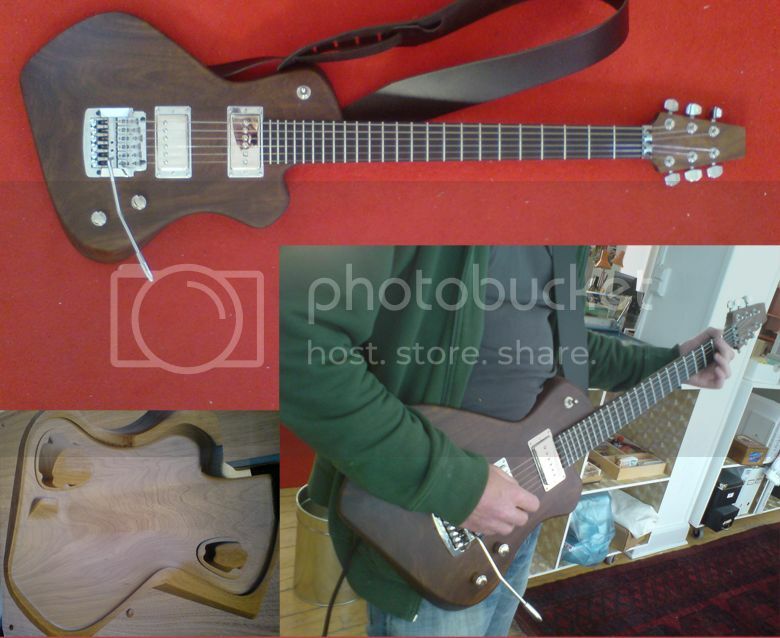 I like how it's a case of form follows function and how the back is carved out and the space between the pickups. It is utilitarian, ergonomic and classy all at the same time. It's good also to see how well the design translates to the walnut-bodied guitar. Project parts, museum piece or pile of poo? Aria Sparkly guitar. It's Christmas!